Freight Elevator or Vertical Conveyor? A potential customer called today with a dilemma. He has a new building going up and will need a way to move material to a second level of the building. He has been told that he will need a freight elevator, but he doesn’t have the budget. He asked if we had any solutions. An affordable alternative to a freight elevator is a Vertical Reciprocating Conveyor or VRC. This equipment is designed to move materials, not people, so it is much less expensive (1/3 the cost) of a freight elevator. The VRC is generally designed for the application, to the load sizes, weights and characteristics of each operation. 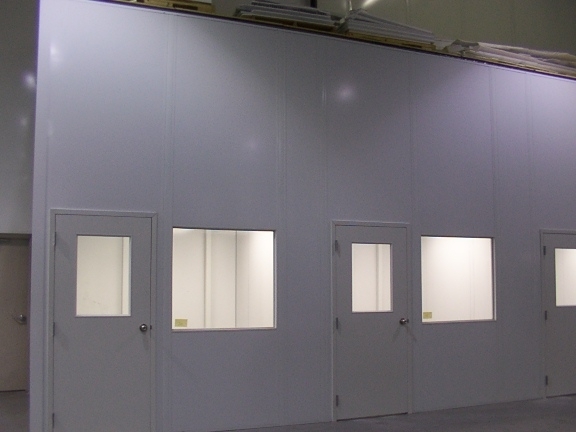 We have worked on lifts as small as 30″ x 30″ up to giant VRC’s big enough to lift 2 cars. One or more stops can be designed into the lift, with entries and exits on various sides of the platform, so they are very flexible. We have even used VRC’s to replace old, outdated freight elevators. Many VRC’s are used in applications where people have been transporting materials up stairways. That can be a really expensive injury! Some time ago, I had a customer call and say that they had been lifting barrels to a mezzanine level with a forklift and that they had dropped a barrel. It caused a huge incident, with the local fire department, HAZMAT, EPA and the associated clean-up. They were lucky that no one was hurt. We quoted and installed a VRC for them. They were so happy with the improvement in safety and productivity that they bought a second VRC for another location. A VRC can be a big savings, not only in the initial project cost, but in the longer-term for process improvement and a much higher level of safety. Summer must be near! I had a call from a customer that needs to secure their dock doors. They recently added a second shift, and sometime during the evening, an intruder entered and pilfered a power washer from their building. A good way to secure dock doors is with a folding gate. Folding gates expand to cover the opening of the dock and then contract or fold back when not in use. Folding gates come in single panels for “people” doors, and in pairs up to 24′ in width for dock doors. Gates are also available in smaller, portable versions to block of aisles or other areas of the plant. Folding gates provide access control and security, visibility and air circulation for the facility. The summer months always generate interest in folding gates, so that more dock doors can be opened to improve ventilation. It’s nice to be appreciated. 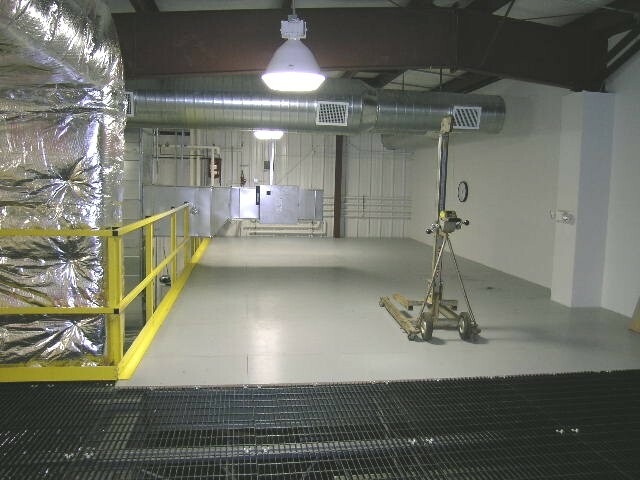 I had a customer call yesterday afternoon to tell me how happy he was with the quality of the industrial shelving we shipped to his facility. In the past, his company had purchased small amounts of shelving at the local home center. It was falling down and shelves were bending, so he called us for some industrial-grade shelving. There is a big difference between Industrial rated shelving and consumer. If you look on the label at the big box store, most of those shelving units are only rated for 200 lb. TOTAL. Our lightest-weight shelving is rated for 450 lbs. PER SHELF up to a maximum of 10,000 per unit. No problem with that bending or falling over. And the capacity increases for other applications; as much as 2000 lbs per shelf. Getting industrial shelving is worth it and the cost difference isn’t that great. We got a product announcement today from Bluff Manufacturing. The new product is a spring-loaded dock plate. The aluminum plate is fitted with a spring-loaded mechanism that fixes it in place to the dock floor. The springs allow the plate to be safely lowered into place for use and then easily returned to a vertical position for storage. No more injuries from handling dock plates and no chance of losing it! In addition, the plate in its vertical stored position serves as a guard from items rolling off the dock. The spring-loaded dock plate is ideal for a dock situation where the same type of trucks service the dock and the materials are unloaded by non-powered equipment, such as a a dollie, manual pallet jack, cart or hand truck. This product is not meant for use with forklifts or powered equipment of any kind. This type of dock plate is designed specifically for each application, so a survey of the site must be completed. This is a great product solution to a common loading problem. It is an excellent addition to Bluff’s quality product line.